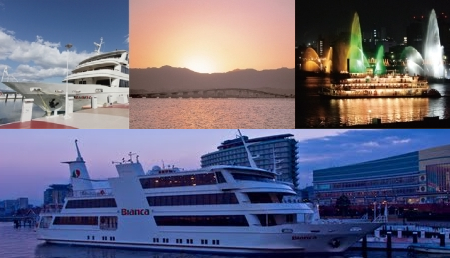 There are two venues: the ship "Bianca" and Biwako-Kusatsu Campus, Ritsumeikan University. The symposium is held on the ship Bianca in Lake Biwa. 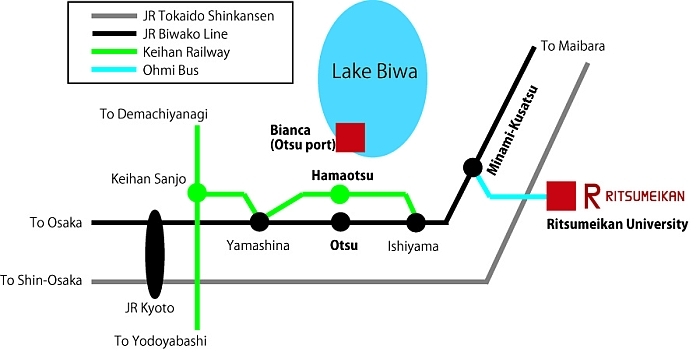 The nearest station to Otsu port is "Hamaotsu" (Keihan Railway) or "Otsu" (JR Biwako Line). For details, please see the web site of BIWAKOKISEN which is the operator of the ship. The banquet is also held on the ship after the technical sessions (2 hours cruise). The exact time of leaving Otsu port will be announced together with the session programs. The symposium is held at Epoch Ritsumei 21 in BKC, Ritsumeikan University. The nearest station to BKC is "Minami-Kusatsu" (JR Biwako Line). 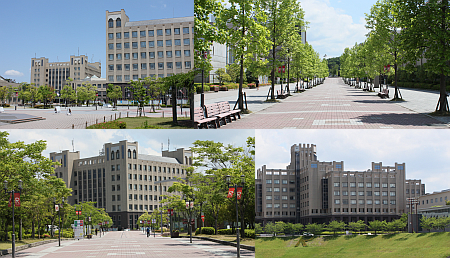 For details, please see the web site of Ritsumeikan University. Epoch Ritsumei 21 is the building of No. 37 in the campus map.